Gitzo is regarded as the worlds leading tripod manufacturer. We were commissioned to produce a short film reviewing the Gitzo tripod Fluid Gimbal Head, and their Adventury bag. 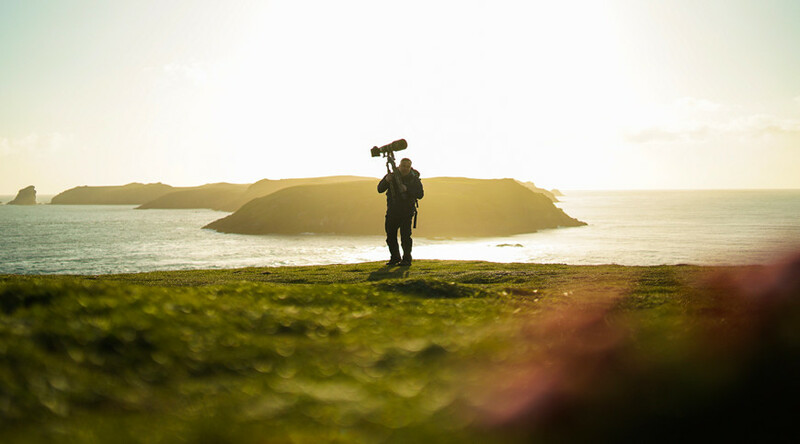 We joined Danny Green the world famous photographer on Skiomer Island, Wales to shoot on the stunning coastlines photographing Puffins and sea birds. We shot on a beautiful Spring evening on the Welsh coast, and produced a 5 minute film mixing steadicam work with Aerials using our Inspire 2 drone.